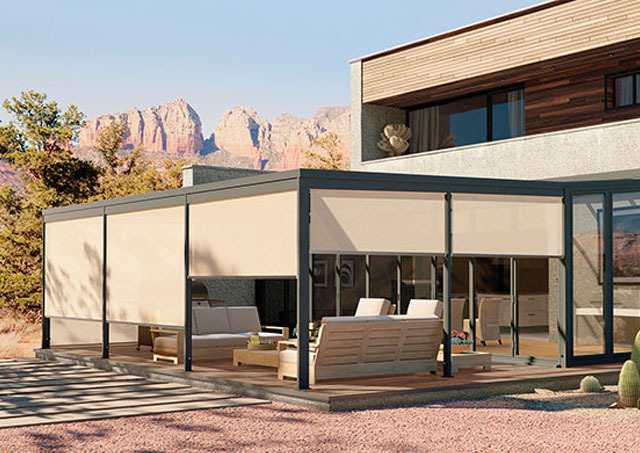 With our line of Exterior Solar Shades, porches, patios, and decks can be protected from intense sun and excessive heat-so you can connect with the natural beauty of the outdoors in comfort. And because these shades are typically larger and installed in harder-to-access areas, consider adding motorized control to adjust your view with the touch of a button. To further protect the interior of your home from the sun’s rays, these shades can also be installed on the outside of your windows.